When the revival of old classics became a trend, one of the first cars that was revived was Volkswagen Beetle. The iconic “Bug” received a design update and it sold really well, but much less than the manufacturer predicted. The main reason was, probably, the price – the point of the Beetle is to be a cheap car for everyone, but the new Beetle was not that. 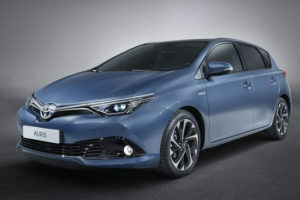 However, it appears that the Beetle sold good enough to continue production and in the meantime, manufacturer started producing other versions as well. 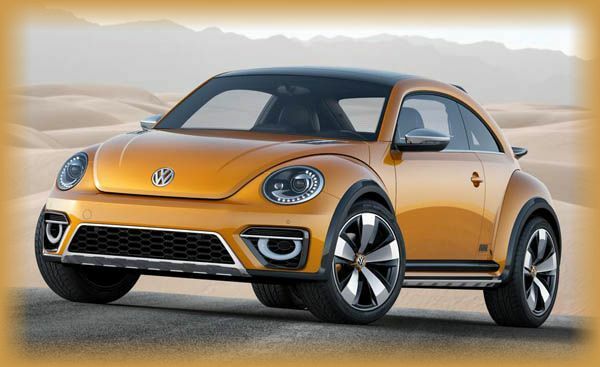 2016 Volkswagen Beetle Dune was first unveiled at Detroit Motor Show as a concept, but now it is confirmed that this car will go on sale in 2016. 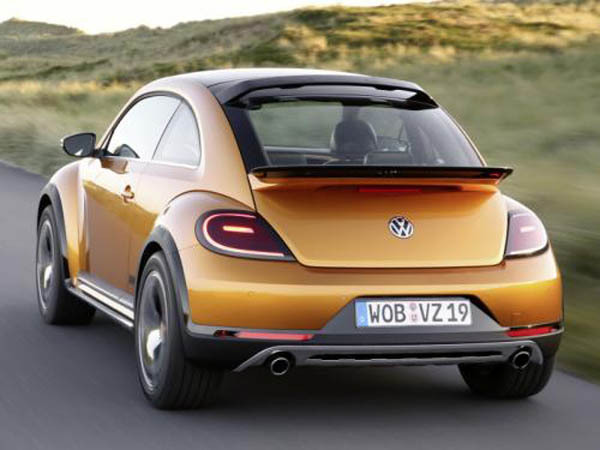 The 2016 Volkswagen Beetle Dune is similar to its predecessor, but the overall design seems refreshed and up-to-date. 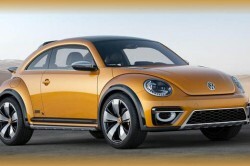 The exterior still looks lovely and cute and this version of the famous Beetle could prove to be a great hit. 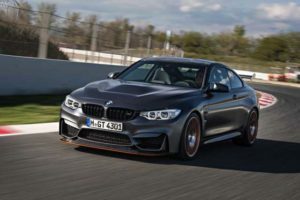 All official images show the car in a old gold color (this color, along with “Dune” in the name hints at the inspiration for this version), which suits it really well and the car looks great. On the front of the car, Volkswagen has decided to change just a few small details and leave the rest just like it was. 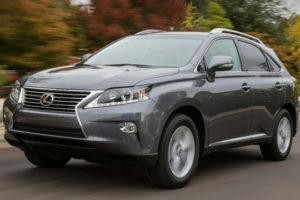 Those changes are the new projector headlights, the front bumper and the round LED fog lights. 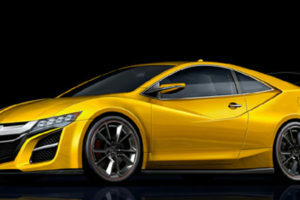 The back of the car is similar to the back of the predecessor, but with new taillights, spoiler and rear bumper. 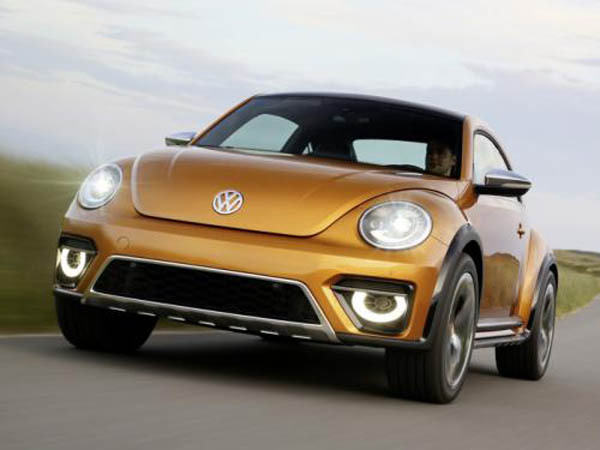 According to the specifications given by the German manufacturer, the 2016 Volkswagen Beetle Dune will be 29mm wider and 50mm higher than the standard 2016 Volkswagen Beetle. 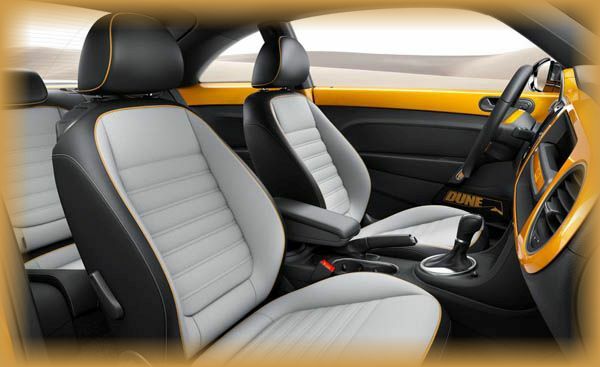 The interior of the 2016 Volkswagen Beetle Dune received a lot of attention from the designers and there are a lot of small details, that make the Dune worth extra money. 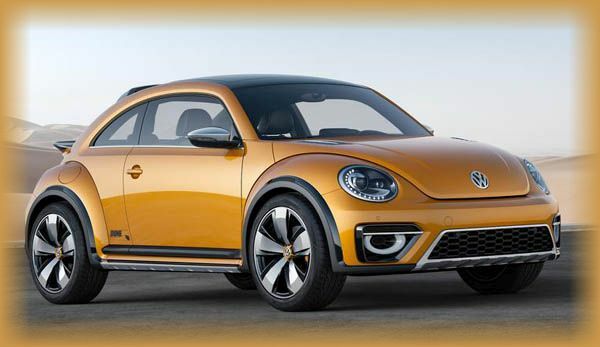 First thing that you will notice is the two tone interior – on the official images of the 2016 Volkswagen Beetle Dune we can see the interior in two color combination – black and old gold, which is the color of the exterior. Furthermore, designers implemented “Dune” branding throughout the whole interior. 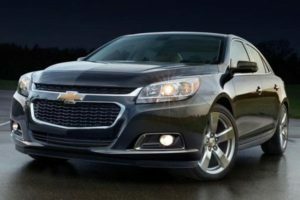 In the center of the dashboard is located the touchscreen display, with controls and buttons right below, but the interesting thing is above the display – three extra analog dials that the standard version does not have. 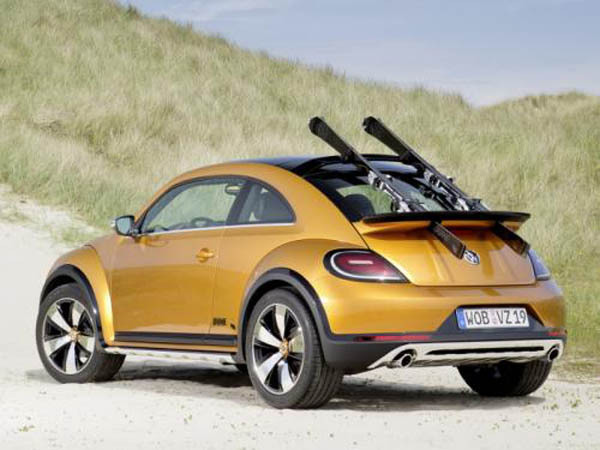 There is no official specifications about the engines that the 2016 Volkswagen Beetle Dune is going to be offered with. 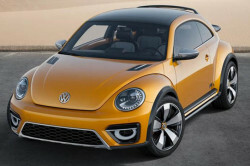 In the United Kingdom, standard Volkswagen Beetle has 1.2 TSI petrol engine, however, the concept shown in Detroit Motor Show had 2.0l turbo engine that produces around 210 horsepower. 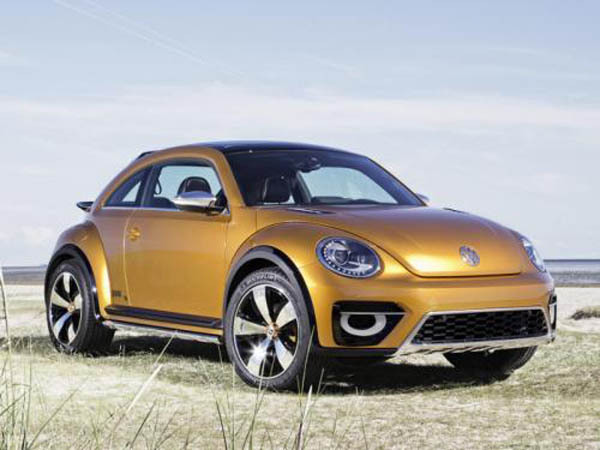 One of the Volkswagen said that the main difference between the standard Beetle and 2016 Volkswagen Beetle Dune is purely visual, which could mean that the Dune version could come with 1.2 TSI engine. 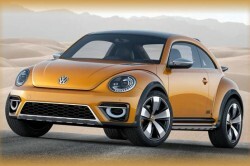 Price of the 2016 Volkswagen Beetle Dune is not known yet, but it is expected to be around $23,000 for the standard “Dune” version. 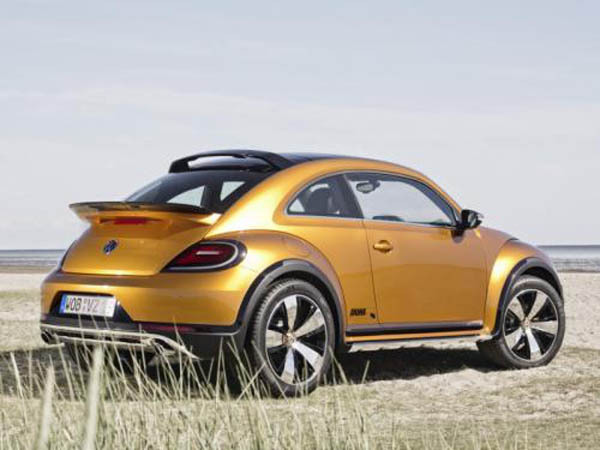 The German manufacturer told the press that the 2016 Volkswagen Beetle Dune will go on sale in 2016.